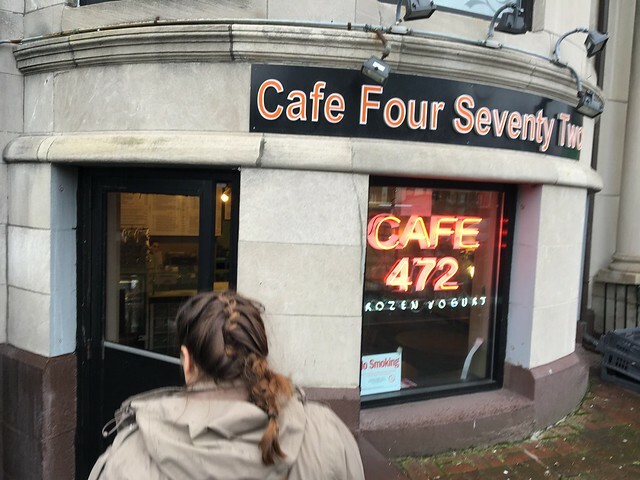 Kaitlynn took us to one of her favorite lunch spots near work: Cafe 472. 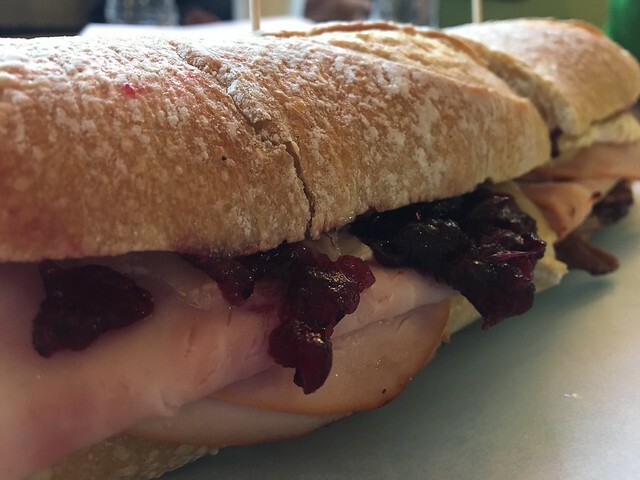 This small cafe is kind of located underground and serves up basic soups, salads, sandwiches, paninis, smoothies and frozen yogurt. 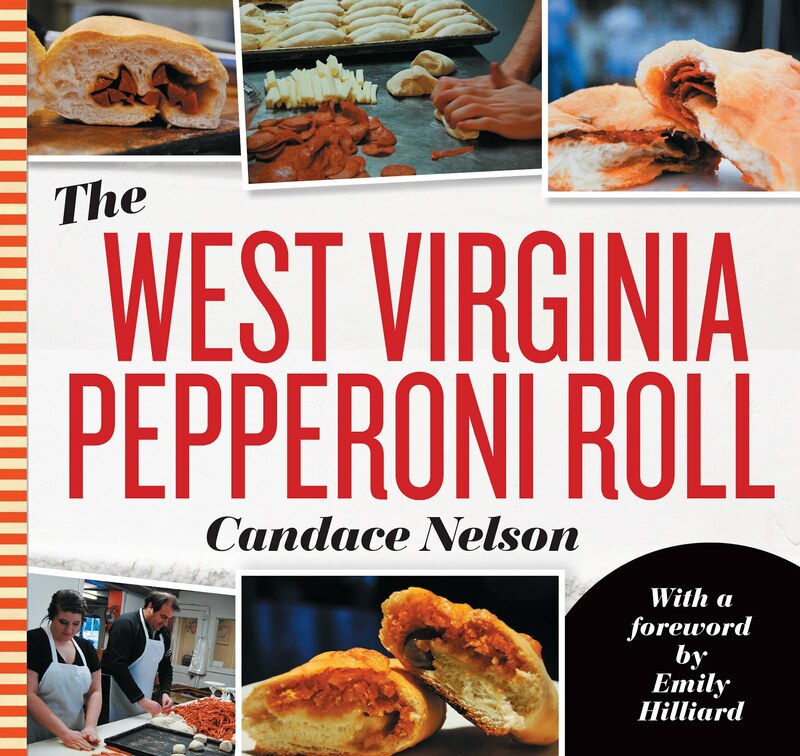 I don't know that they have a specialty item that they take a lot of care to prepare; I think it's more a quick shop that has a bunch of different items for an easy lunch spot. 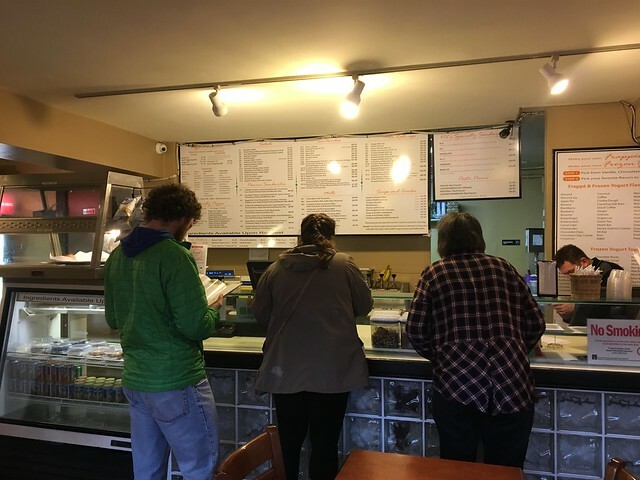 When we first entered, I noticed the folks weren't especially thrilled, as they continued on their phones, but it gave me a chance to look over the menu. 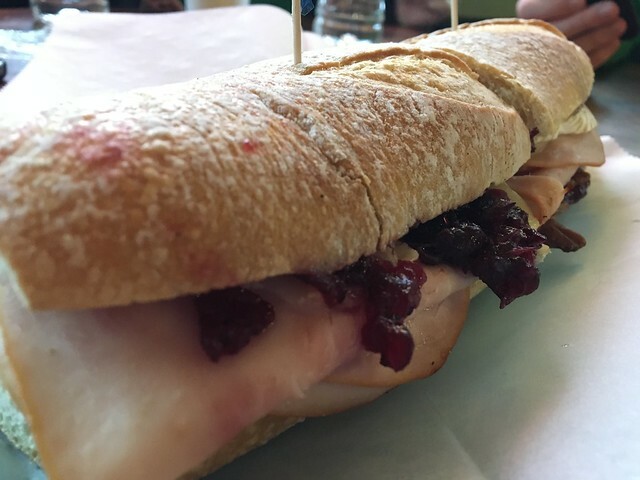 I ultimately decided on a "melt," a turkey and cranberry chutney melt with pecans, brie cheese and baby greens. For one, this melt was huge. Like, footlong sandwich huge. The bread wasn't exactly panini-style, so it was a bit thick and bready for the sandwich. And, the meat was just deli slices. I was sad to not see hunks of real turkey. But, plenty of brie, cranberry and maybe too many nuts. But, I do love this flavor combination. So, I think it's a decent, quick option for lunch, but nothing too special. But, if you're hungry, definitely a good option to fill your belly!